guizero is designed to allow new learners to quickly and easily create GUIs for their programs. 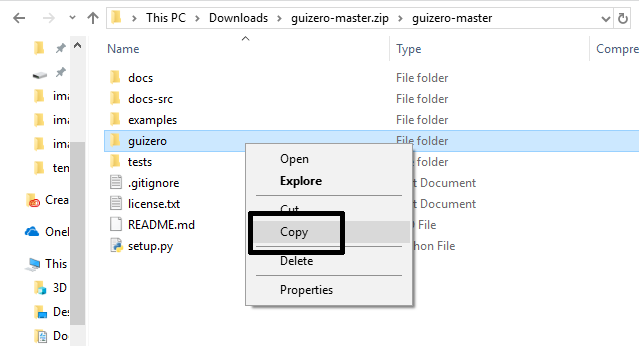 If you can download and unzip a file, you can install guizero - no special permissions or administrator rights are required. 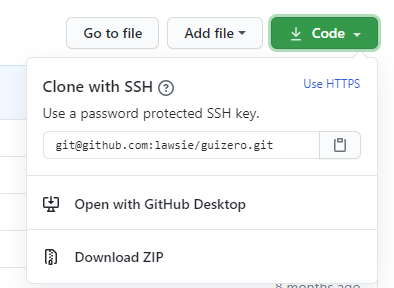 If you have administrator rights and are connected to the internet, you can use pip to install guizero. Go to the guizero repository on GitHub. Click the green "Clone or download" button and then "Download ZIP"
That's it! 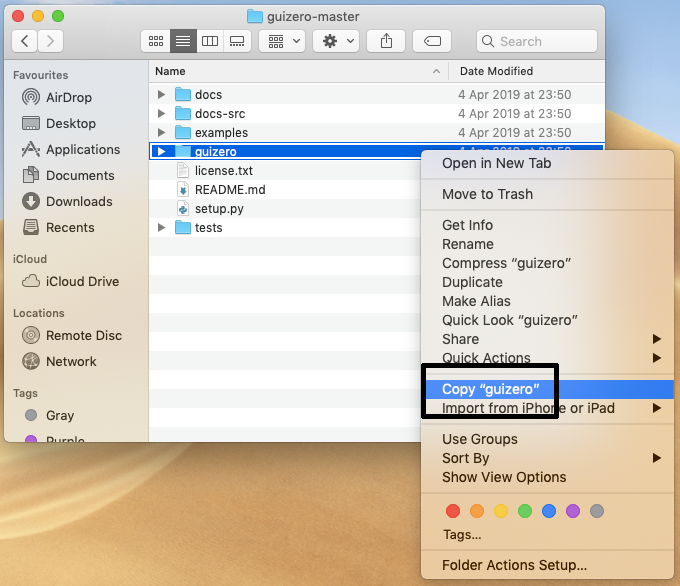 When you write your guizero code, make sure you save it into your home directory. pip can also be used to install additional features and upgrade guizero. Open a command prompt by clicking Start > Windows System > Command Prompt, or by typing 'command' into the start menu's search bar. If you experience problems, have a look at this guide to Using pip on Windows. 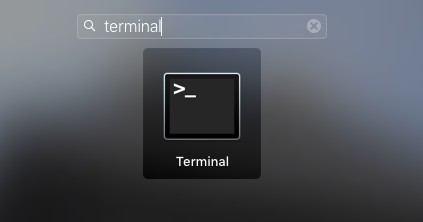 Open a terminal window by clicking Applications > Utilities > Terminal, or by typing 'terminal' into the desktop's search bar. 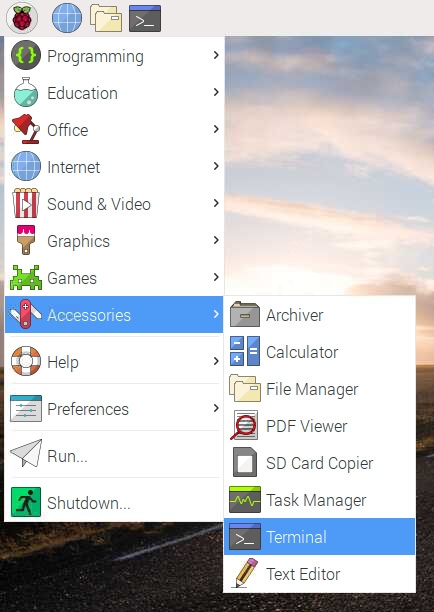 Open a terminal window by clicking Menu > Accessories > Terminal.